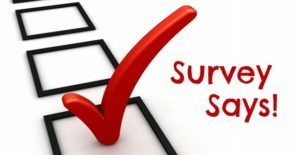 Survey – Do you want the Dartmouth Chamber of Trade to continue? You will have read the Chronicle article about the resignation of the Directors of Dartmouth Chamber of Trade, an extract is also included in a previous post on this blog. I have now meet with those three directors and we have discussed whether the Chamber of Trade has a future in Dartmouth, and if so what might its role be? We are all agreed that the members of the business community must have their say on this. 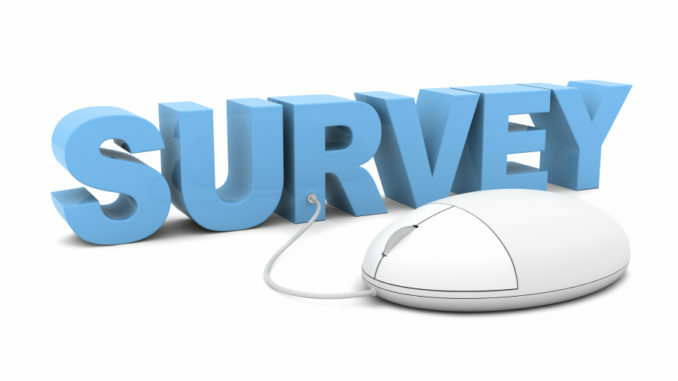 So we wish to carry out an online survey to gather the opinions of our subscribers, which include many of the business owners in the town. This is a joint survey by Dartmouth Business News and the Dartmouth Chamber of Trade. Remember we will be judging your perception of the importance of the Chamber of Trade on the volume of response we get to this survey. Once the results are in the Committee will be calling an EGM to give members the opportunity to have a final say on how we proceed from here. 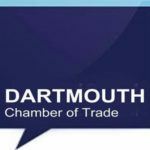 Dartmouth Chamber of Trade has been running since 1939 and has been serving the Business community on and off since then. There have been times when it has struggled, perhaps more so when the town has been thriving, but now we face the challenge of falling footfall we believe it is time for businesses to get together again to face this challenge. We must be stronger together. Paul – question 5 doesn’t work – it doesn’t allow the same box (important, not important etc) to be picked for more than one sub-question. You also focus just on a ‘decline in footfall’. I would have liked a question that seeks to identify a broader range of issues that most concern businesses for which Chamber representation/discussion/action etc is relevant or important. Mark – My main aim with the survey is really to find out if enough businesses in Dartmouth care about the Chamber of Trade continuing to represent their interests. I was not too concerned about the questions I asked. If the response is low in volume then the Chamber will die for lack of interest. I want to work for its success in the future but that wont happen without a clear definition of how it can help Dartmouth businesses at this difficult time. I agree there needs to be a better understanding of what is causing the decline in the town but that will only happen if the Chamber survives this latest setback. If you want to know what the majority of businesses want to happen then you don’t have to look much further than the 5 year BID plan!. We just needed to get a lot better at delivering it. Paul, I hope you will allow a fellow former chairman of the Chamber to express some views. When I first moved here, there was no Chamber, but eventually some local businesses revived it. When I became chairman there were fewer than 20 members left and some of them (including the chairman) had not paid their subscription. A year later, after a lot of hard work, we had over 100 members but that soon evaporated too. 1. It’s a small town, and regrettably some people will not join an organisation because they do not like the chairman. One past chair made such a hash of things that a vote of no confidence was passed and she was forced to resign. It’s not just the chamber that has this problem. 2. The Chamber used to have regular monthly meetings. That way the members got to know each other. There has not been a meeting for over a year, and the last one I attended had more observers present than there were members. 3. The chamber built good relations with other groups, especially what was then the TIC. 1. Mark is right. Q5 of the survey is flawed. Footfall is not the only reason why trade in Dartmouth is declining. Come to think of it, Dartmouth is not the only town where footfall is declining. There are many complex and interlinked reasons why and any decent recovery plan must first examine these. 2. Democracy is still important. When a meeting takes place between three people who represent a moribund chamber of trade which has failed to have an AGM for a long time, and an unelected publisher/editor//writer of a newsletter this is not a democratic high-spot. What happens needs to happen openly. Thanks for your comments clearly your experience is interesting as a part of the Chamber’s history. In response let me say this. Under my Chairmanship the Chamber formed a BID team with members from all the interested organisations in town including the TIC. We carried out the most extensive consultation there has ever been with Dartmouth businesses and the result was a comprehensive, self funded 5 year plan to help Dartmouth re-establish its position as a leading west country destination. When it came to a vote in Council you were one of 4 Councillors who voted against the plan. Can you please explain that to me? Your final comments point 1 I have never claimed footfall is a reason for decline in Dartmouth, it is simply a measure of decline, which is different. Of course the cause of the decline is complex and includes things like parking, lack of marketing and many others. As a measure though a footfall decline of 30% is massive and demands a response from somewhere. point 2. I agree democracy is important which is exactly why I held a meeting with the Board members. The result of the meeting is this survey to give members their democratic opportunity to comment and if you read the post it will be followed up with an EGM at which all members will have an opportunity to discuss the way forward. That, in my opinion is a democratic high spot which I hope members will appreciate. Paul, I voted against the BID because, following the research I had done on other BIDs, I saw no advantage to Dartmouth. Simple as that, although why you are asking at this late stage puzzles me. Let’s be blunt, I have the right to vote in the chamber as I see fit without needing to explain myself to anyone. I shall go further. In my research, which I have had no need to update, I found examples of malpractice – including a BID chairman who had a financial interest in the BID going through, another in central London who announced that he wanted to see the individually owned shops moved out, several towns who ended their BIDS early. Let me go further still: one of the things holding this town back is a reluctance in certain quarters to let the Dartmouth BID rest in peace. Would I vote against it again? Based on what happened, yes I would. Of course you can vote how you see fit and I am not asking you to explain yourself but if you comment publicly on my website then I reserve the right to answer. So David you don’t believe Dartmouth needs any marketing? Don’t you realise how wrong you are? Obviously not as your failure to provide a proper oversight of the actions of the Visitor Center will prove long term. Also out of over 200 successful BID’s you have a found a few examples of misdemeanors in BID’s which lead you to conclude Dartmouth should not have one. Well if a few examples of misdemeanors in Town Councils would serve the same purpose I would be tempted to agree with you. It is also sad to find that you cannot separate the BID Business plan, supported by 2 out of 3 businesses, from the execution of the BID plan by the BID Company. The only failure with the BID was the failure of the BID Board to deliver what the majority of Businesses in town wanted. The vote was to close the BID company, not against the content of the BID plan. The only reason to still mention it is because the BID plan is still the result of the most comprehensive consultation ever carried out in the town to find out what businesses want here. That has not changed and is still just as relevant today as it was then, in fact more so because of the decline in footfall that the BID warned about. If the Town Council actually recognised the towns economic problems and wanted to respond effectively, then the BID plan would be the best place to start. David, management for me is all about seeking to achieve your best. That involves looking for weaknesses and deciding how the remove them. You seem to lack the ability to do that so lets leave the debate there. “When it came to a vote in Council you were one of 4 Councillors who voted against the plan. Can you please explain that to me?” it seems to me that you are demanding that I explain myself to you. And please do not make the claim that because I was against the BID that means I am against marketing the town. Not true, and I object to your claiming that. The BID is ancient history and I think that anyone who thinks reviving it is the way forward for this town is a fantasist. So, yes, let’s leave the debate there, but you presume to lecture me about management (Paul, having attended business school and served as a senior manager in a very large finance company for 17 years, I know about management and marketing) so I am going to close by offering a piece of advice: try not to be so patronising in the way you write. It does you no credit.